Update: Added depth option to subtitles. Adjust your depth/convergence settings then using F1-F6. Find the hud depth that suits you. F2-F6: Custom Hud Depth settings. Hold down right mouse click and adjust convergence till you are happy with gunsights then click F7. Hud will automatically change to max depth while right click/gunsights are in use for convenience. Please note if using a controller you must use an application such as AHK/JOY2KEY. Use nvidia inspector to do this. Open nvidia inspector. Click wrench/screwdriver icon. Select Borderlands The Pre-Sequel from drop down. Remove BorderlandsPreSequel.exe. Save. Select Alice Madness Returns. Add BorderlandsPreSequel.exe[..\steam\steamapps\common\Borderlands The Pre-Sequel\Binaries\Win32]. Save. Play. If you are adjusting from the default in game FOV. It is recommended not to exceed 95 FOV. You may have to tweak convergence to get this to work. Crosshair is removed but will reappear when right click is held down (for scoped weapons and rifles). Long story short I seperated the crosshair out as much as possible then punched a whole in the middle of hud screen. It works pretty well but it may cause certain hud elements to not show correctly when they are in same position that crosshair was in. I will not be offering additional support on this method. Right click on the game --> properties --> define Startup Commands. Add the start command -NoLauncher , into the Steam startup commands. still no patch for alien 3d vision .why insulation? alien insulation out before borerland. Please! @classieux71: Why don't you fix it yourself? Coming on this Forum, which provides a fix for Borderlands, not even mentioning that fix, and then asking where the fix is for some other game is extremely rude. @classieux71: On your Google+ page, you show the Rift version for Alien. If you are this much of a rush, you either need to play that, or play it in Compatibility Mode. People here fix game in their free time, because they can. We cannot, and will not, take requests. If you really want a game fixed, you need to learn how to do it yourself, not just whine about it. Start with wiki.bo3b.net. Thanks for this patch, and so close to release too! After following those steps, the 'regular' convergence *does* save even after coming out of iron sights (until I restart the game), but the iron sight convergence does *not* save. I wouldn't mind setting these both every time I start the game, but I can't get the iron sights to save at all. Can be done manually as well. Go to this site. Put a value in float value. Click convert to hex. I tip my hat to you, good sir. Thank you. Cheezeman try to save normal convergence using control+f7 which is the default "save in game changes". Regular convergence resets usually on every game after restart if you do not save it using that cntrl+f7 combo. Not sure if its the case with bl:ps, but it worked for me in bl2. Never actually tried to adjust iron sight convergence. Im pretty sure it wasnt even working in my case, because i removed hud and crosshair fixes as i wanted them in screen depth. i used nocrosshair fix. First i saved configuration (ctrl+F7) when aiming, then i saved configuration after releasing rightclick button and the reappearing crosshair GONE ! Looks perfect ! thanks for the fix !!! Was working fine, added a second graphics card and dedicated to PhysX, ever since the games shadows are shown only in left or right eye. I remember this happening to me in borderlands 2 using Helix as well, at that time I was using an SLI configuration, now I am just using a single 780TI and an old 480 for physX. Not sure if it is Helix related or not, but figured I would mention it. 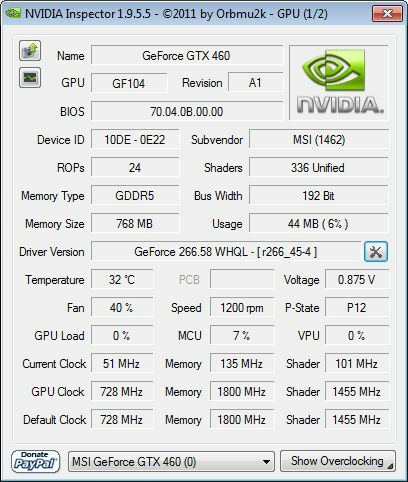 A full re-install of nvidia drivers seems to have solved the issue. Sorry to have wasted space. The result is beautiful, thank you for your work. The game is perfectly playable in 3D and it is excellent.